Cross Country Road Trip – Cali Bound! Our cross country trek from Oahu to Maryland is underway! Today was an absolute rollercoaster. We left our island home with five suitcases, two backpacks, a camera bag, garment bag, and TWO giant dog crates (one that Werkley could be shipped in, and a more portable one for purposes of our hotel stays). We had to recruit a friend (thanks Menhardt!) to follow us to the airport since we couldn’t fit everything in one car. First we dropped Werkley off to a cargo facility. It was unnerving, as the staff treated him like just a package; in my head I was hoping the staff would be a little more warm and assure me he was in good hands, but that didn’t happen. Werkley sensed it and started crying, which only made it harder to leave. But there was no time to sulk as we headed to our own check in, where we fell behind a large group of people traveling together, pushing us behind schedule. Sean got angry when Delta said they would have to charge for checked baggage since my name wasn’t listed on our military orders. “She’s my wife!” He exclaimed (which was cute to hear him get so worked up). They offered to give us “an exception to their policy,” but not without instructing us that future military orders must clearly state names of traveling dependents (as if we have a hand in how orders are written). We sat next to a retired Marine, and of course Sean couldn’t stop exchanging stories until he – and the rest of the flight – fell asleep. This marine shared that his family had just moved to Oahu in hopes of starting a new church for military. I love the people we meet in passing; largely thanks to my husband for his habit of striking conversation with strangers. We landed just before sunrise in LA, where we began a long list of errands: checking into our hotel, picking up Werkley from cargo and getting my Subaru from the port. Fortunately, both our fur baby and vehicle arrived safely. And, the good news continued when we learned that we could leave Werkley’s giant airline crate behind since Delta pet cargo donates to local animal shelters. This was a huge help since the crate was too big to go with us. 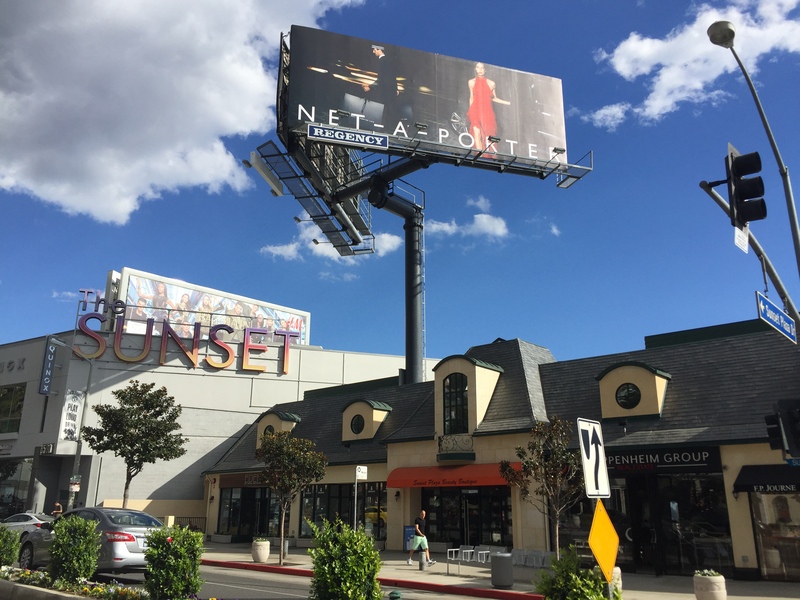 We ventured out to Sunset Boulevard in West Hollywood for lunch. Driving to this area brought quite the culture shock as I had to abruptly adjust to fast driving, honking horns and distracting billboards plastering the skies. This is when it hit me – we are no longer in Hawaii. We ate where the locals seemed to go – Caffe Primo. I couldn’t help but notice the trendy fashion scene; we totally didn’t fit in! Our style was more “beachy, casual Hawaii attempts to marry the season of fall,” while everyone else was dressed as if cameras were going to roll in at any moment. Even those sporting sweats managed to lounge in high fashion. Our day quickly passed as we nestled into our room and recovered from jet lag. We’ve already had hiccups, but the most important thing is that we made it! What I’ve learned so far: I had adjusted to life in Hawaii way more than I thought. I’m already “freezing” cold even though the temperatures are in the 60s-70s. What my husband and I have learned so far: The hustle and bustle of LA has only made us look forward to Maryland more. We’re not “city dwellers,” and so we’re finding the atmosphere to be a little overwhelming for our taste. But we are certainly appreciating LA from a tourist standpoint as best we can. Stupidest thing we’ve bickered about: Sean whistling and picking his nails too much in the car, and me trying to plan too much for the day ahead. Cutest thing we’ve bonded over: How much we lack in fashion sense compared to the eccentric fashion scene here. Sean later pulled out three pairs of “dad jeans” that he got from JC Penny’s and we agreed to throw them out. 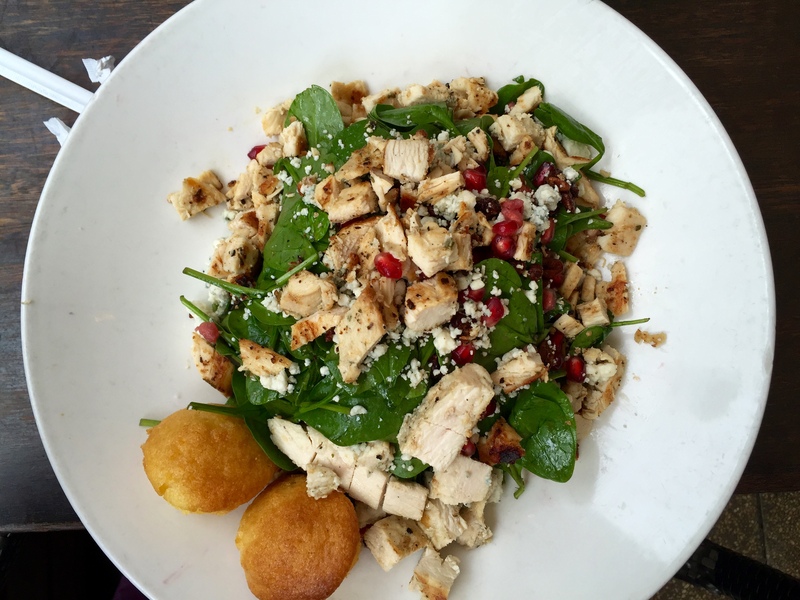 Best thing we’ve eaten so far: Mine: Spinach Pomegranate salad from Caffe Primo (I just love that they put pomegranate seeds in a salad; it was refreshing). 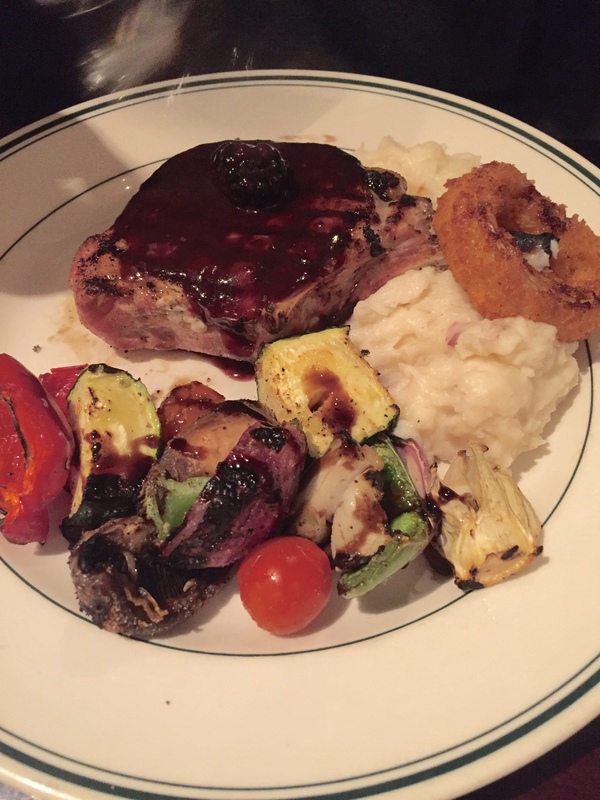 His: Black Raspberry Porkchop from The Westin’s Daily Grill. (Forgive the crappy cell phone capture; could barely get hubby to hold his fork for this snap).